I have felt for a long time that the roll out tray is one of the best things to happen to a base cabinet. Recently, I have had some customers who have called or visited my showroom with cabinet doors that are cracked or broken along the hinge side of the door. After examining these doors, I noticed scuff marks on the backs of the doors. This helped me figure out what has created the issue. 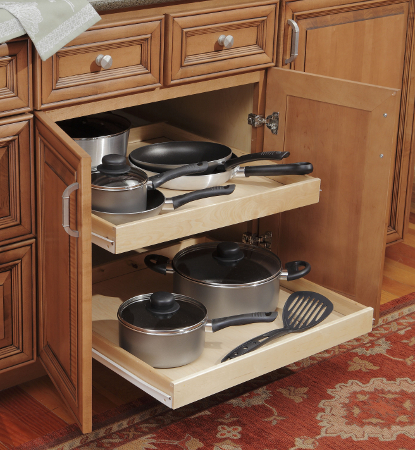 Customers have been using their cabinet doors to push their roll out trays into their base cabinets. 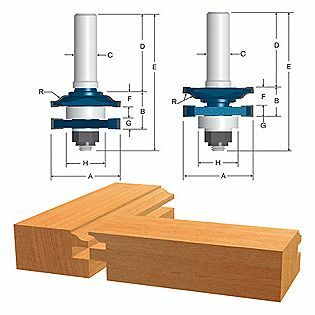 In doing so the doors experience a lot of pressure on the vertical joint, which is also called the rail-stile connection. The corner of the roll out tray creates a fulcrum and the leverage on that point stresses the door over time and eventually leads to failure of the joint. Cabinet doors were never designed to be part of the closing mechanism of a roll out tray. I strongly recommend that homeowners push their roll out trays all the way into their cabinets before closing the doors. If the roll out trays are equipped with soft close mechanisms and the two to three second wait as they finish retracting into the cabinet is too long, these mechanisms can usually be disabled. Investing a little extra effort and a few seconds of time will extend the life of the cabinet doors and save expense and lead time in getting cabinet doors replaced.